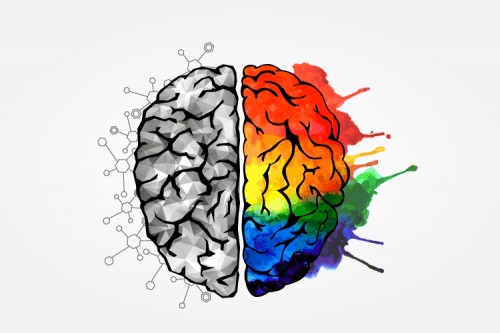 Last updated: January 16, 2018 This article is simple, straightforward, and one of the most important things that you’ll read to benefit your brain. Because when you’re dealing with ADHD fish oil is the way to go. Fish oil helps your ADHD brain by restoring the balance of omega-3 essential fatty acids that you’re most likely deficient in. Let’s go over some topics that can have a massive effect on how you think, feel, and and even act for the rest of your life. What’s the point of taking fish oil for ADHD? Fish oil contains omega-3 fatty acids, which are healthy fats that can help you prevent heart disease and other cardiovascular problems. Omega-3 fatty acids are commonly found in seafood. So, if you eat a lot of high-quality fish like salmon, then you might actually be fine. But, if you don’t live in a coastal city, then odds are strong that you’re lacking in omega-3 fatty acids. Interestingly, fatty acids like those found in fish oil have also been shown to boost brain function, potentially prevent the early onset of Alzheimer’s Disease, and help people who suffer from ADHD. Not to mention, using fish oil can also fight inflammation and arthritis. As you can probably tell, the point of taking fish oil for ADHD is that it’s a genuinely effective and easy-to-use supplement that delivers consistent results. If you have ADHD, and you don’t get a lot of seafood in your diet, there’s a very good chance that you need to be taking fish oil to balance your level of omega-3 fatty acids. How will you feel after taking fish oil for ADHD? Many people claim to feel a ‘warm’ mental calmness after supplementing with fish oil for at least 1-2 weeks. If you feel more focused, alert or energized after using fish oil to treat ADHD symptoms, there’s a great chance that your body’s level of omega-3 fatty acids desperately needed to be restored. How much fish oil you take each day depends on whether you prefer to supplement with liquid fish oil or softgel capsules. What’s the best type of fish oil to take for ADHD? I personally take Carlson Labs Liquid Fish Oil (Amazon) because you can immediately tell that it’s high quality fish oil. In other words, I can feel the positive results that it has on my brain and body. I’m also not a fan of swallowing more pills than I need to. So, taking fish oil in liquid form is a really nice luxury. Since Carlson’s Liquid Fish Oil has always worked well for me, I haven’t used any other fish oil supplement consistently. 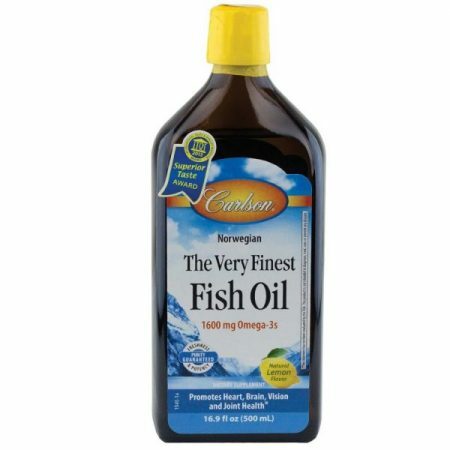 I once tried Barlean’s Omega Swirl Fish Oil (Amazon) because it was a little bit less pricey than Carlson’s. And, I can’t complain too much about Barlean’s. It’s a good product overall. But, it does contain canola oil, guar gum, and a couple of other ingredients which I’m not a fan of. You might pay a little bit more for Carlson’s, but you get pure fish oil without any questionable additives. Because too much of a good thing can turn into a bad thing, it’s a good idea to take moderate amounts of fish oil each day. Because, if you get too much omega-3 fatty acids in your diet, you unfortunately won’t be helping your ADHD. But, by taking moderate doses of fish oil each day (as suggested on the label of your fish oil), and checking in with your doctor regularly, you should be in great shape. If you’re concerned about your body’s exact level of omega-3s, you can also chat with your doctor about having your levels tested. Your doctor will most likely give you a simple blood test. Then, after your results are in, your doctor will be in a much better position to suggest exactly how much fish oil you should take to maintain healthy omega-3 levels. Learning to master the art and science of ADHD and fish oil can help you tremendously in your own life. Because, once you’re able to balance your level of omega-3 fatty acids, you’ll also be able to think more clearly, enjoy a much better mood, and live an all-around better lifestyle. As you can probably tell, using fish oil to improve your ADHD symptoms can actually have a ripple effect that makes your entire life genuinely better. If you haven’t already, make sure to snag some liquid fish oil (Amazon) or fish oil capsules, and start improving your ADHD lifestyle today.